Open the Windows Control Panel and find add/remove programs. Wait for the control panel to populate. 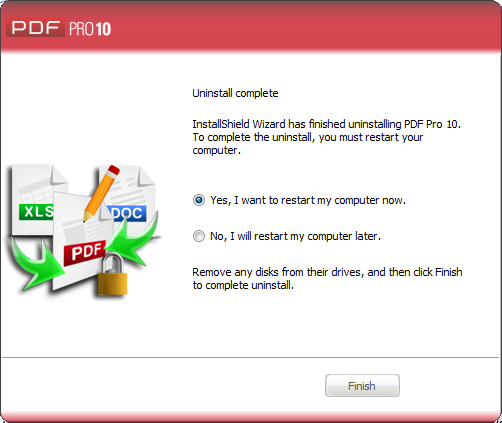 Select PDF Pro 10, and press uninstall. Click ‘Yes’ when asked if you would like to remove PDF Pro 10 from your computer. 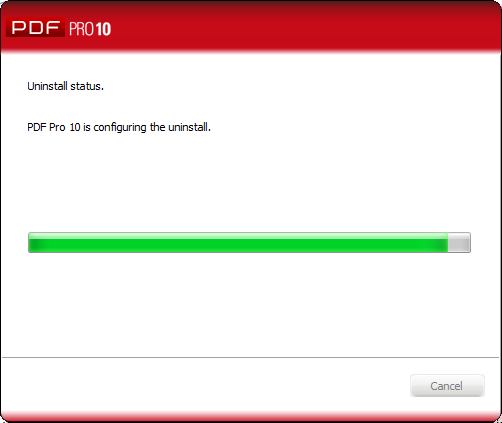 PDF Pro 10 is now being uninstalled. Please wait while for the uninstall process to complete. You need to restart your computer to finalize the uninstall process. Once you restart your computer, PDF Pro 10 will have been completely removed from your computer.